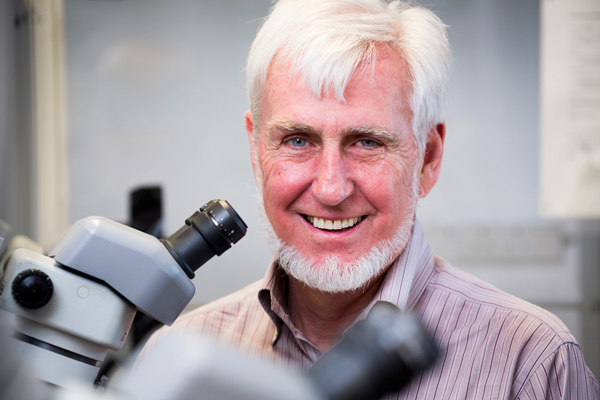 Earlier this week, fifty years after completing his Master's at McGill and beginning his PhD in physiological psychology here, John O’Keefe was named co-winner of the 2014 Nobel Prize in medicine. In an exclusive interview with the Reporter, O'Keefe remembers his time at McGill as "an incredibly exciting time." It was the early ’60s and, in addition to the explosion of pop culture, the field of neuroscience was bursting with new knowledge and discovery. Guided by such luminaries as Wilder Penfield, Donald Hebb and Brenda Milner, McGill was at the leading edge of new neuroscience frontiers. Modern labs and technology were about to be provided in the massive Stewart Biology Building, which was then under construction. There was a hunger for breakthroughs, an energy that drove scientists to work around the clock. It was, no pun intended, a heady time for young researchers interested in probing the human brain. Into this milieu stepped a graduate student out of New York City, in his early 20s, named John O’Keefe. After completing his Master’s in 1964 at McGill, he began working with his mentor and PhD supervisor Ronald Melzack, himself a legendary pain researcher, in the brand new brutalist-style biology building that opened in 1965. Nearly 50 years later, in October 2014, O’Keefe would share the Nobel Prize in Physiology or Medicine, becoming the 10th Nobel Prize winner to have been affiliated with McGill, the most of any Canadian university. “It was a terrific atmosphere,” O’Keefe said in an interview with The Reporter. “It was really the heyday, the beginning of the program that Don Hebb had set in motion, where he said we can understand a lot of things about cognition and memory and perception by studying the brain. “And all the students who got there, who were PhD students there, were really energized by this. It was an incredibly exciting time to be there. Peter Milner was there in the Stewart Building, and then there was Brenda Milner and Wilder Penfield and Herbert Jasper – it was star-studded is all I can say. That hard work paid off. O’Keefe, who went on to do post-doctoral studies at University College London and has stayed there ever since, discovered a type of cell in the brain’s hippocampus, called a place cell, which acts sort of like an internal GPS in terms of its ability to help us orient ourselves in space. It was that discovery that resulted in this year’s Nobel Prize, shared with May-Britt Moser and Edvard I. Moser, both based in Norwegian institutes in Trondheim. His mentor Melzack was effusive. “He’s a brilliant guy and deserved his prize,” Melzack said in an interview. “He just wanted to work. All he asked of me was to help him get his equipment and to bounce his ideas off me. And he saw Milner as well in Oslo when they were joint winners (along with Marcus Raichle) of the 2014 Kavli Prize. 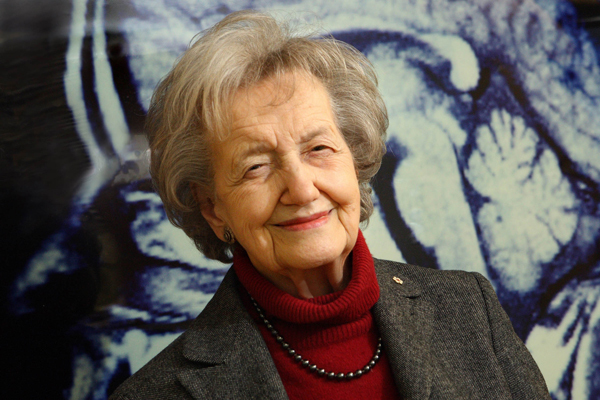 “I owe a lot to Brenda Milner as well because her studies of HM really did set the whole agenda for studying the hippocampus and I think she convinced us all that it was some sort of a memory system and when I went to study the hippocampus, I was really expecting to see that it was a memory system. “Ron, in his generosity, had just received quite a considerable grant – when I first went to McGill it was all sealing wax and rubber bands, and we all shared a very, very small amount of equipment in the physiological psychology group – but then Ron got a very large grant and he was very generous with it,” O’Keefe recalled. “He gave me and a very, very talented neurologist named Ken Casey, enough money to build a very good electro-physiological lab – and then I went on to start to use that to start to develop some of the techniques that I used on the hippocampus. So he was terrific and I am eternally indebted to him. What’s next for a Nobel winner? “I’m still a bench scientist, so I still go into the laboratory and try to do some experiments – obviously I can’t do that full time – and I intend to continue to do that as long as they’ll let me. “But I also have another job. I’m Director of a new institute called the Sainsbury Wellcome Centre, and that’s an institute for the study of neural circuits and behaviour. The next big thing on his radar screen, he said, is continuing research into Alzheimer’s disease. “When we started in the hippocampus there was no evidence that I knew or even indication that it was going to be one of the first areas involved in dementia. So I’m very lucky because now, other people, not us, have been able to create mice with some of the features of Alzheimer’s dementia, and we know that both in those mice and in humans that the disease process seems to start in the temporal lobes, in parts of the hippocampo formation. “So we’ve taken the opportunity using some of our techniques, to look at models of dementia and to find that in fact that place cells are, very early on in the disease process, starting to become functional. “We think this is going to be a very exciting period in the next little while. We all know that Alzheimer’s is going to be an enormous problem, not only for people who have it, but also for care-givers, government health care systems and everything. I’m hoping to invest quite a bit of time and resources into that. 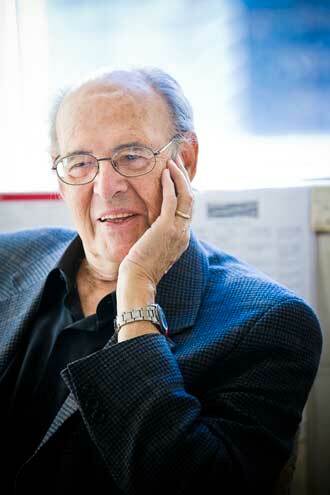 What drew him to McGill back in the early ’60s? “Very simply, it was one of the best places in the whole of North America for doing physiological psychology, not the least because Hebb was there, and Melzack and Milner, and they were all widely known and already very famous neuroscientists. So if you wanted to do physiological psychology, that was one of the two or three top places to go. “I have a lot of fondness for McGill. It was a great time in my life and I’m always very grateful that they accepted me. They only took a very small number of students and I was one of the lucky ones who got accepted and they even gave me some research support in the first year and provided me with a stipend. Even more fond of my Alma Mater (B.Sc. 1957, M.Sc. 1959), and even prouder. As a medical student at McGill I worked in Ronald Melzack’s lab as a summer student around 1964 or 1965. I knew and interacted with Ken Casey, but do not recall John O’Keefe. The environment of the lab was great and I learned a great deal. The experience led me to have a research career in both academic medicine and biotechnology industry. I spent many years in basic biochemistry and clinical research. My only encounter with neurosciences again was while I worked at Biogen during the 1990s. I led the team that achieved marketing authoriztion for AVONEX for the teatment of Multiple Sclerosis in the US in 1996 and EU in 1997. I remain active in drug development to this day and have achieved marketing authorizations for other drugs as part of project teams where I have been a leader in many cases. I thank Dr Melzac for helping to prepare me for a career in resarch. I am thrilled to realize that for one summer as a medical student I worked at McGill close to research stars!